Thanks for stopping by to read my review of the various makeup setting sprays on the market. Not all things in the world of beauty are created equal. You know I am ALWAYS thinking “budget budget budget,” but when I can’t find what I need at the drugstore, I am not above taking a trip to Sephora to find a product more suitable for my needs. Of course going to Sephora means you’ll be spending more money, but if purchasing an item like a setting spray will save me time, I’ll pay the money. I hate spending an hour doing my makeup only to have it last an hour or two. What’s your time worth to you? By now you’ve probably read my posts or seen my video about using primer, particularly “Milk of Magnesia” underneath foundation to hold it on the face ALL day. However, I’ve held back on telling you about another great product because it is not DimePiece Friendly. I actually forgot to wear it today, and noticed the difference with my makeup durability, so I thought it best to let you in on what works for me. 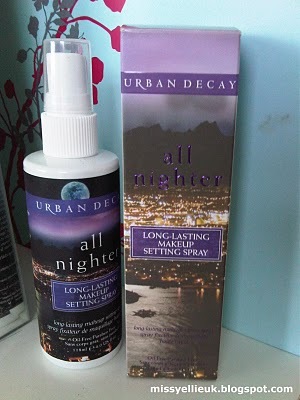 Urban Decay’s All Nighter Setting Spray is, by far, my favorite setting spray out of the many brands I’ve tried. This setting spray does a really good job of keeping the face oil free and holding makeup in place for hours and hours. I have REALLY oily skin, so yes, Milk of Magnesia helps keep the oil at bay, but this product completes the task. This 4 ounce bottle runs for $29, however, you can buy the XL bottle for $34 which will give you 6 ounces of product. Urban Decay actually sells quite a few makeup setting sprays, but All Nigher is the only one I think worth the investment for my fellow greasies. De Slick, oddly enough, didn’t do a think for keeping my face oil free. I still have half a bottle I’ll never use. I even tried a sample of the DeSlick Primer and it was equally disappointing. Click here to view the complete offerings in greater detail. 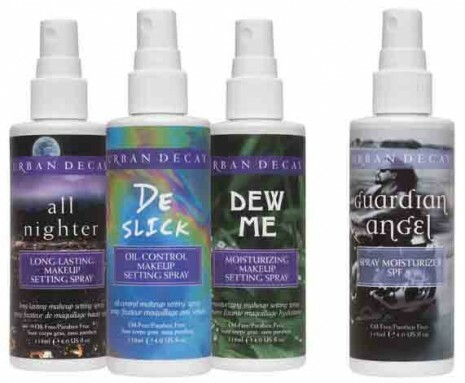 There are other “setting sprays” on the market, but they don’t all do what UD’s All Nigher promises. Take for instance, Mac’s Fix Plus which is sold at $10 for one ounce or $20 for 3.4 ounces. The product description reads as follows: An aqua-spritz of vitamin and minerals, infused with a calm-the-skin blend of green tea, chamomile, cucumber, topped off with the fresh, natural, energizing scent of Sugi. Adds radiance, finishes makeup. Spray it on. Skin drinks it up! The name of the product, however, often leads consumers to believe that it will in fact hold makeup in place. Really, all it does it help your makeup to better “settle” into the skin, thereby removing that “caked” on look. Incidentally, if you’re thinking about trying to use plain old water in a spray bottle instead, don’t. I tried it already and my makeup went running down my cheeks! 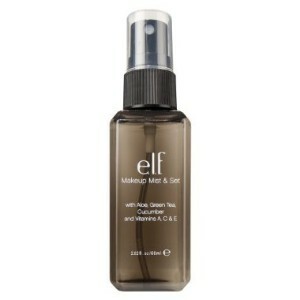 Eyes Lips Face’s Make up Mist & Set Spray is the cheapest alternative I’ve found to Mac’s Fix Plus (not All Nigher.) It costs $3 and is sold at Target. 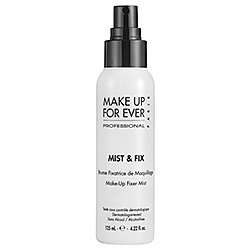 Make Up Forever’s Mist and Fix Spray is yet another tried and failed setting spray. I used it back in 07, I believe, and can’t recall that it did anything spectacular. I also recall feeling as though the bottle was too small, but I was probably more concerned with that because it just didn’t do the job well. Sephora also never seemed to have the full sized bottle (4.33 ounces at $27) in stock so I was forced to shell out $8 bucks for less than an ounce of product which never sat well with me. 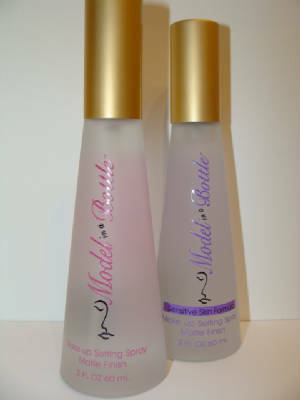 Model in a Bottle was the first setting spray I ever tried. I discovered it after watching a product review on the Tyra Banks Talk Show back in 2005. I stopped using it because I couldn’t find it being sold anywhere other than the Internet, and because it is alcohol based. The company now has a sensitive skin formula, but I’ve not tried it so I can’t give it a review. The original formula does work well, but I found it to be too harsh for my skin. Overall I’d say Urban Decay’s ALL Nigher or any setting spray that will do what you need is worth the money. If you’re not in any hurry, I say wait for a friends and family sale at Sephora or Ulta to try out one of the UD setting sprays. 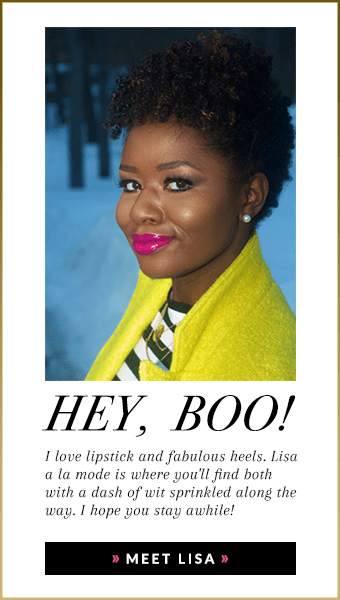 Purchase it online through ebates or studentrate so you can receive cash back on your Sephora order. What are your favorite beauty items worth the splurge?? Awesome! Thanks for posting this. I have been curious to know what the purpose of these sprays was and you really helped me out. I may have to try the Elf one out to see how I feel about using a setting spray.